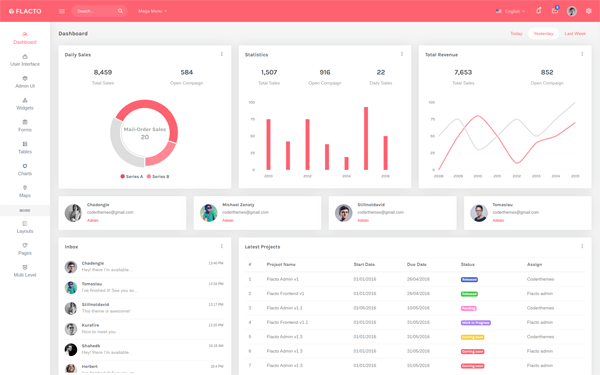 Flacto is a bootstrap based premium admin template. It has super clean user interface, customizable components and widgets and two different color schemes. It is fully responsive and easy to customize. The code is super easy to understand and gives power to any developer to turn this theme into real web application. 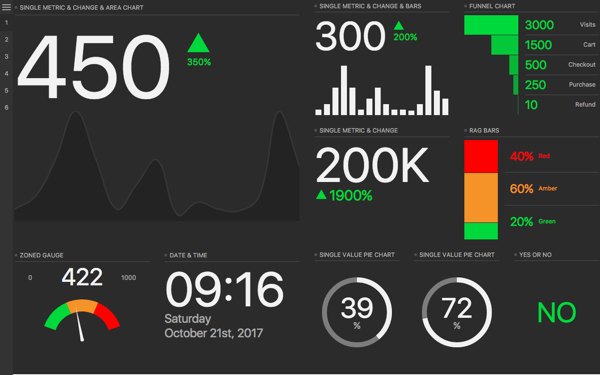 Controlfrog helps you focus on your key metrics by taking them and displaying them in a meaningful, easily digestible way. Equally at home on your phone, tablet, laptop, desktop, TV or huge projector, Controlfrog brings clarity to your data.